How hard/expensive is it to move a waste pipe? 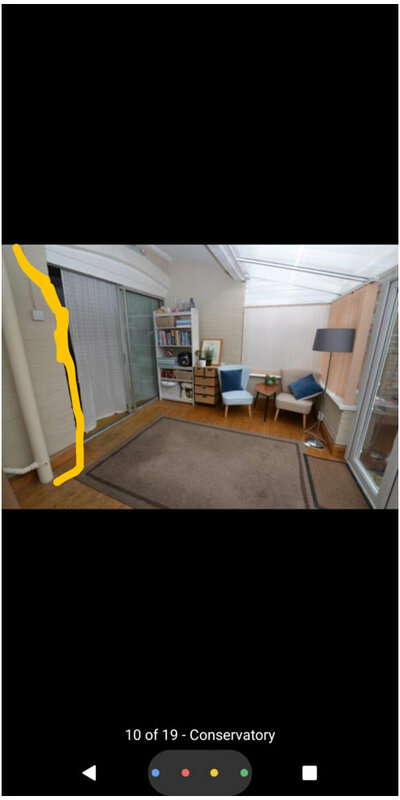 My husband and I are considering bidding on a house, but we'd want to completely redo the conservatory/kitchen/dining room areas as they are currently dark and a really poor use of space. However, I spotted what I believe is a waste pipe in one of the photos that would be right in the middle of any sort of revamp. Any idea on how difficult/expensive it is to deal with this sort of thing? Everything is possible but it to answer the cost question is difficult without seeing what’s there. The soil pipe can easily be diverted but eventually it has to go into a drain. Assuming the drain is under the conservatory you will probably be moving the drain which likely is a £6 k job (depending on where it is going) but a lot of that cost is digging down and if your intention was to dig foundations for an extension then the drain cost is much reduced. I’m pretty sure you can access sewer systems online and find out where the drains are? We did it for our first house as it was terraced and needed to know where to move the drain to (ran across the backs off all the gardens) They show up as red squares I think on the drawing.